As genealogists we have much to be thankful for. The search for our ancestral history often helps to put our own lives into perspective: as we discover the hardships and sorrows that plagued earlier generations, our own can seem much easier to bear. Sacramentals and holy objects become family treasures when passed down from generation to generation. 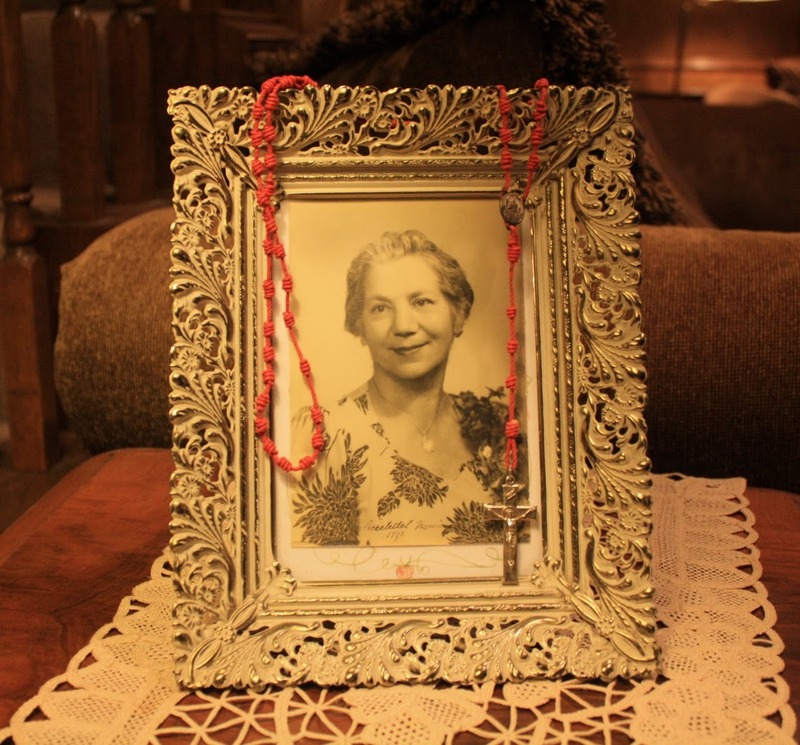 There is something special about seeing an ancestor’s crucifix on the wall of your own home, holding a great-grandmother’s Rosary, or dressing a new baby in the Baptismal gown that was worn by other newborns in the family tree. 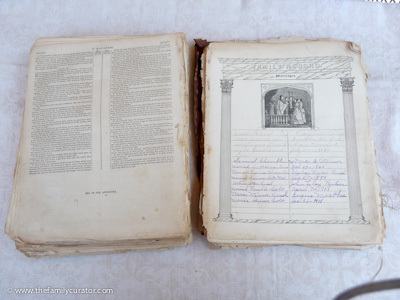 Family Bibles – part family treasure, part genealogical record – are one of every family historian’s most sought after ancestral relics. I was thrilled this year to have a cousin share with me the Douay-Rheims Catholic family Bible in his possession which had belonged to my 3rd great-grandmother, Ann Cowhey. As a genealogist, I was overjoyed to see the names and dates recorded on its pages. As a Catholic, I was inspired to be able to hold the actual Bible owned by my 3rd great-grandmother. I can imagine it sitting in her home throughout the 19th century as she raised her family and relied on her faith to sustain her through hard times. Sacramental registers allow us to peek into the rites of passage of our Catholic ancestors – Baptism, Matrimony, even Holy Orders. Death registers were also often kept by the Catholic church. In many countries Catholic church registers existed long before any form of civil vital records – or the church records were the civil records (as was the case in Hungary until 1895). 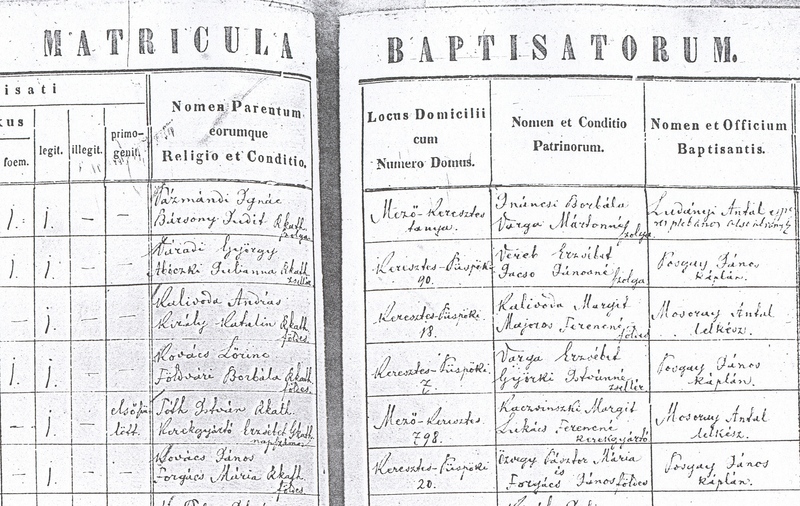 I had a surprise when I discovered my Hungarian-born grandfather’s Baptism register and learned that his birthday was different than the one he had always celebrated! Catholic cemeteries are the final resting places of many of the Catholic ancestors whose names and stories we learn through our search for family history. There is nothing like walking through a cemetery in search of your ancestors, and coming upon a familiar name on a gravestone. 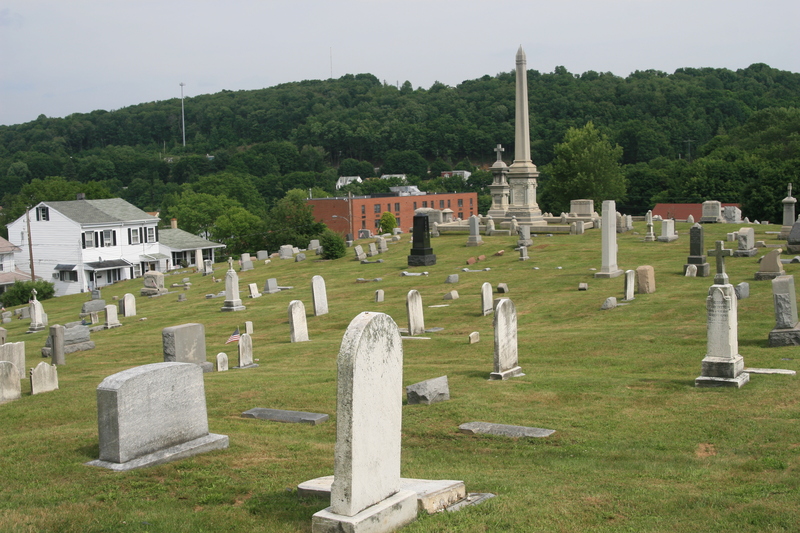 I couldn’t help but tear up during a summer visit to the Irish Catholic St. Patrick’s Cemetery in Pottsville, Pennsylvania (shown here) when I discovered the grave of the daughter of my immigrant ancestors who had first settled in the area in the 19th century. It was moving to stand and pray for her soul where her family had stood as they laid her to rest a century and a half before. Our ancestors’ places of worship were the fields where the seeds of faith that would someday be passed down to us were first sown. The Catholic church where several of my children were baptized has just been renovated for the third time in several decades, completely altering the interior of the building. 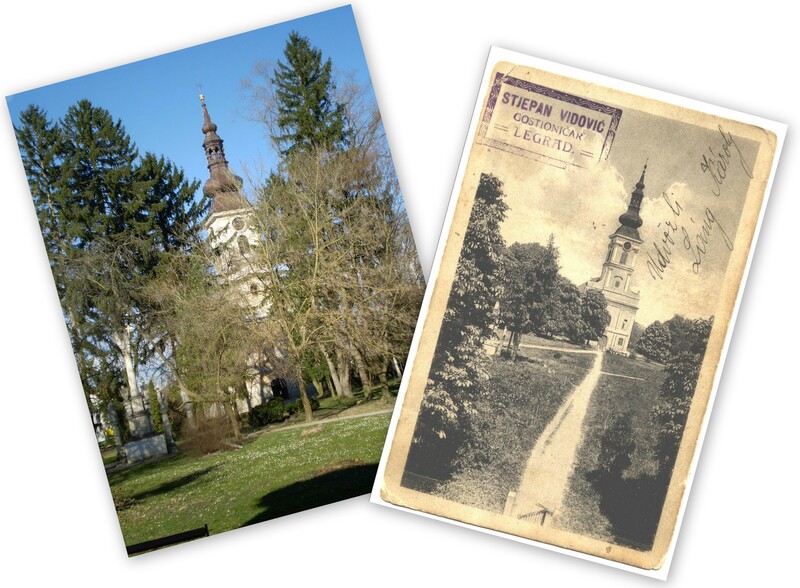 Yet, the parish where my great-great-grandparents worshipped in Legrad, Croatia is still very much the same as it was in their day. I haven’t yet visited, but I’m sure I will feel right at home when I finally make the journey to the 300-year-old village church that was host to so many of my family’s special sacramental celebrations. The fascinating history of the Catholic Church cannot help but be enthralling reading to every Catholic interested in their own family’s story as it played out against the background of history. The struggles of the Catholic Church in Ireland against the might of the British crown figured largely within the lives of many generations of my Irish family tree. The strength of the Hungarian and Slavic Catholics as they held up against Turkish occupation kept Europe Catholic and gave my family an inspiring legacy of faith. If you have Catholic ancestors, chances are that they played a role in or were witnesses to events in Catholic history that read to us today like the stuff of legends. The saints are the host of holy people that have preceded us in life and now reside in Heaven as the Church Triumphant. We, the Church Militant, can take inspiration from their lives and ask for their intercession as we strive to join them one day. We find inspiration in their stories, celebrate their feast days, and name our children after them. They are like an extended family tree! A connection to distant cousins is sometimes difficult to establlish when they live in other countries, have different ethnic and cultural traditions, and speak a foreign language. 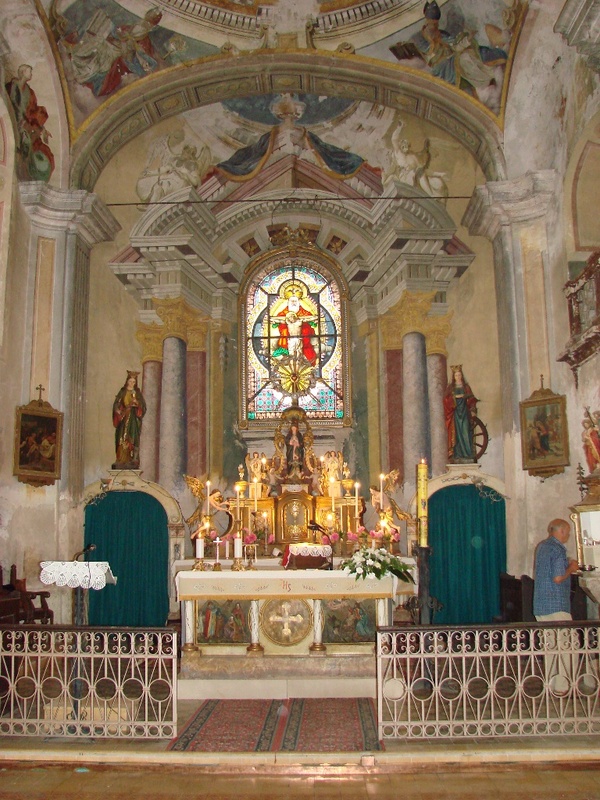 Our shared Catholic faith has allowed me to find common ground with some members of my extended family in Croatia who are parishioners of my family’s ancestral church. Despite language barriers and an ocean separating us, we have found common ground in the age-old faith of our ancestors. The legacy of our beautiful Catholic faith is perhaps the greatest family treasure that a Catholic genealogist can discover. 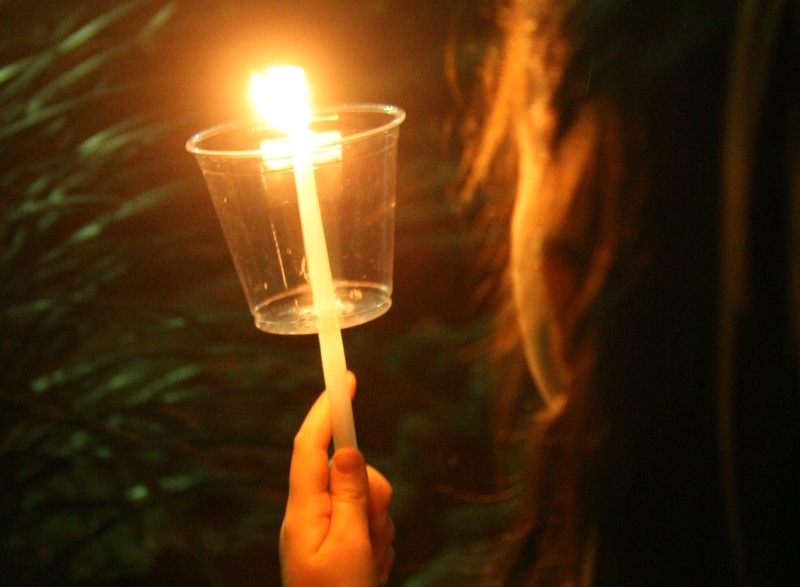 It is a spiritual gift that has been passed down to us, and we are privileged to share it with coming generations. 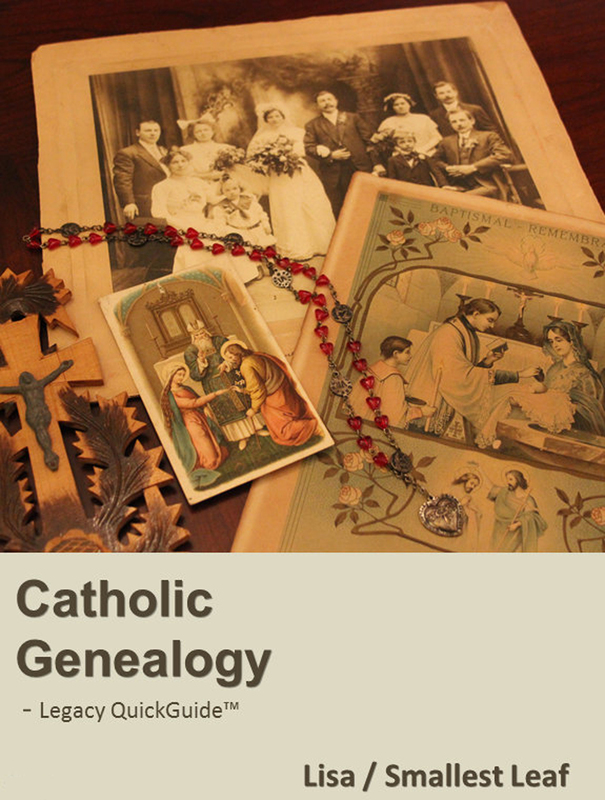 If you’d like to delve more deeply into your Catholic family history this holiday season, take a look at my Catholic Genealogy QuickGuide™ published by Legacy Family Tree. If you enjoyed reading this article, please take a moment to write a comment including the things that you are thankful for. Happy Thanksgiving! When my mother-in-law passed away several years ago, we inherited her Catholic prayer books, Bibles, and missals. Some were obviously very old, others were new and scarcely used. My husband and I carefully examined the books and found Mass cards, newspaper clippings, and other genealogical gems. Religious books can hold a wealth of family history information, as well as clues to the faith and cultural life of the owner. As the designated “keeper of the stuff” for my family, I have become the curator for several collections and discovered how to organize and preserve all kinds of family treasures. I share what I’ve learned in my new book, How to Archive Family Keepsakes (Family Tree Books, 2012). 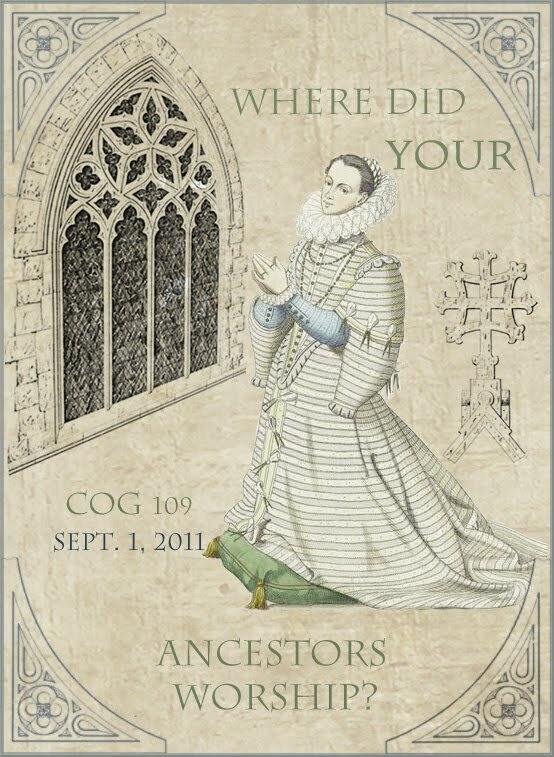 Catholic Gene Author Lisa Alzo also knows what it’s like to inherit a family home and its contents, and recently reviewed my book at her genealogy blog, The Accidental Genealogist. In “For the Packrat and the Genealogist: A Review of How to Archive Family Keepsakes,” Lisa writes “I wish How to Archive Family Keepsakes had been available seven years ago!” Me too! It is the handbook I needed when I inherited my first family collection. For the past two weeks I have been on a virtual book tour with How to Archive Family Keepsakes, and am pleased to make a special stop at The Catholic Gene with this article on safely storing and organizing your family Bibles, prayer books, and religious books. Whether you inherited the treasured ancestral Bible or your great-grandmother’s leather missal, I hope you will take time to safely preserve your family keepsakes for future generations. Many family collections include printed books such as novels, Bibles, and songbooks, or handwritten volumes such as diaries, journals, or notebooks. 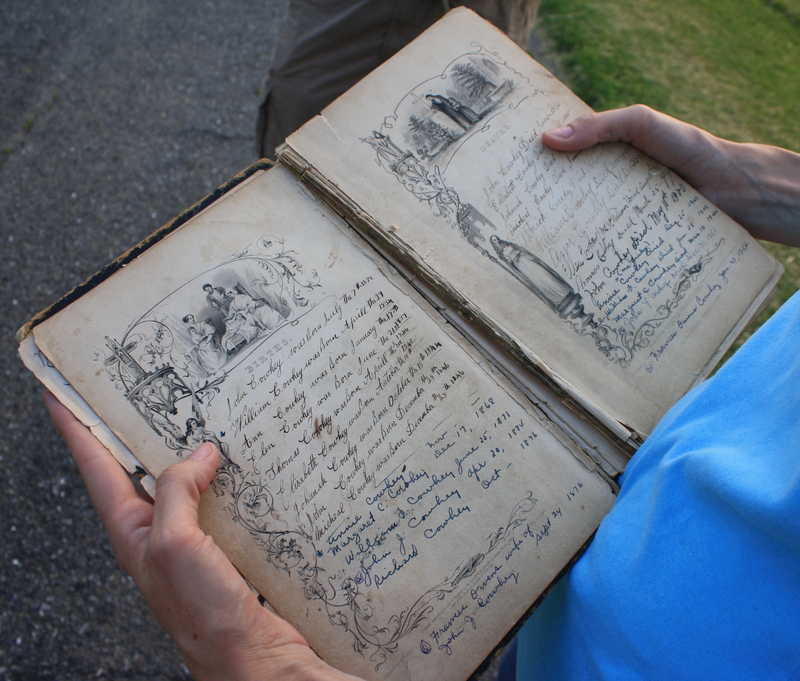 Sometimes, treasured family keepsakes are a combination of printed pages and handwritten entries, such as found in a wedding or baby book, or a guest book from a funeral. Whether printed or handwritten, your family books will have a better chance of survival from one generation to the next when stored using archival methods. Before storing any books, closely examine the volume for genealogical clues to your family history. 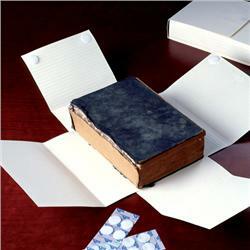 You may find slips of paper or other items used as bookmarks, or written notes or comments on the pages. Family Bibles may hold a special section of Family Record pages listing Births, Marriages, and Deaths. I overlooked a family Bible in my grandmother’s collection for many years. The badly damaged book had been set aside when I first inherited boxes of papers, photos, and documents that once belonged to four generations. This photograph doesn’t tell the entire story. The Bible binding and pages are soft with damp and wear. The binding and most of the pages are completely loose from the leather cover. The edges are feathered and torn. 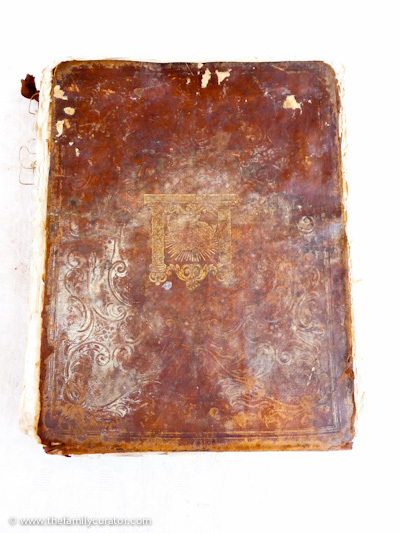 It looks like the book was once completely soaked in water (flood? rain?) and never recovered. Some pages show signs of mildew. in the center of the book, between the Old and New Testaments, right where you might expect it to be. . . I found the family record of the E.B. Kinsel Family. These pages record the Births, Marriages, and Deaths of four generations. They also give the only evidence of the birth and death of a child whose existence was previously unknown to the present generation. In many homes, the best, and easiest place, to store family books is with our current volumes. Your bookcase is probably located in the temperate environment of your family room, living room, or den and relatively free from dust, insects, and extreme changes in temperature or humidity. Avoid storing books or other family keepsakes in basements, garages or attics where extreme temperature and humidity changes can cause permanent damage. Stable bound books in good condition may be stored upright on sturdy shelving. Many hymnals and school yearbooks are candidates for this kind of simple storage. Rare, damaged, or fragile volumes, however should be stored flat and in special archival boxes. These boxes are available from museum archival suppliers, and are well worth the cost. Purchase the right size box for your book by measuring height, width, and thickness. You want the box to fit snugly so the book does not slide around inside. Another option is to buy (or make) an archival book wrap with flaps that fold around the sides of the book to protect all edges. This is a good choice for rare, fragile, or damaged books with loose covers or broken spines. Take time to write a brief history, or provenance, or your treasured books. Include the names (birth and death dates, and addresses if you know them) of previous owners. You could write the information in pencil on the flyleaf of your book, or on a piece of acid-free paper tucked inside the first pages. If you have a large collection, you may want to catalog the books and include the ownership information in your inventory. Keep a copy in your archive or with your family history records so you remember what books you own and where they came from. The Heirloom Registry provides another way to record the history of your family book by offering an online registration service for family heirlooms. A unique serial number is used to record history and ownership information online where future generations can find it, and other family members can share the story of your book. Heirloom Registry numbers are available as attractive stickers or metal plaques that can be attached to a box or book. Individual serial numbers are also available, and could be penciled on the inside cover of your book. I’ve used the Registry service to record the history of a family toy chest, but the idea is the same as registering a book. You can see my Registry record and read about my research on the chest here. Remove bookmarks and pressed flowers from pages of books. Consider removing news clippings and replacing with photocopies on acid-free paper. The acid in newsprint can easily damage adjacent pages due from acid-migration. Take care when removing upright books from shelves. Do not pull the volume by the spine; instead push back on the volumes on either side and grasp the volume to remove. 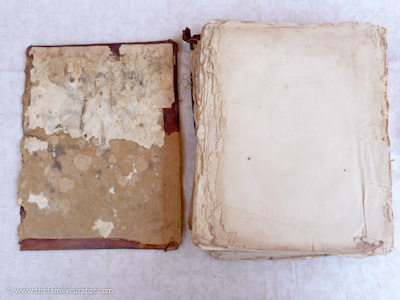 Avoid writing in rare or fragile books. Add identifying notes on a piece of archival paper inserted in the front of the book. Use a hose attachment to vacuum your bookshelves regularly to keep dust-free. Look for book and pamphlet storage options in archival catalogs. 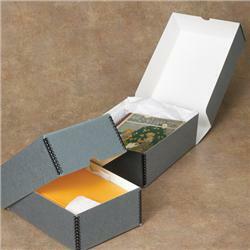 Protect the cover or dust jacket with clear archival plastic covers. from How to Archive Family Keepsakes: Learn How to Preserve Family Photos, Memorabilia & Genealogy Records by Denise May Levenick (Family Tree Books, 2012). Copyright, 2012, Denise May Levenick. All Rights Reserved. www.thefamilycurator.com. Paperback / eBook Family Tree Books, Amazon.com, Scribd, iBooks, Barnes&Noble.com. Visit the Blog Book Tour for How to Archive Family Keepsakes for author interviews, book excerpts, giveaways, and more. In every family, someone ends up with “the stuff.” Denise May Levenick is a writer, researcher, and speaker with a passion for preserving and sharing family treasures of all kinds. She is the creator of the family history blog, The Family Curator www.TheFamilyCurator.com and author of the new book How to Archive Family Keepsakes: Learn How to Preserve Family Photos, Memorabilia and Genealogy Records, (Family Tree Books, 2012). The opinions expressed below are solely those of the author. Papal Aide: Holy Father there is exciting news. Some of it’s good but some of it’s bad. Pope:Okay, give me the good news first. Aide: The Savior has returned to Earth! He’s on the telephone asking for you! Pope: What could possibly be the bad news then? Aide: He’s calling from Salt Lake City! As such ecumenical matters sometimes go, relations between Catholics and Mormons have been relatively without rancor over the past several decades. Despite deep doctrinal rifts, the relationships between individual Catholics and Mormons have been free of the personal hostility which characterizes relationships between certain other denominations. In fact, the Bishop of Salt Lake City has said that Catholics and Mormons work together and get along fine in the Mormons’capital city. But the facial peace between Catholics and Mormons has been strained by issues related to genealogy. It is well-known that the LDS church has some of the greatest genealogical information in the world in both quantity and quality. They obtain those records by going out all over the world and collecting or copying the original records. What is less well known is the doctrinal motivation for collecting ancestral records. Not being a member of the LDS church I’m hesitant to characterize their purposes other than to say that I am informed that it has to do with so-called re-baptism of non-LDS ancestors. That is the least what the Vatican knew in 2008, when the Holy Father instructed Catholic parishes not to cooperate with Mormon records seekers. This issue had been brewing for quite a while. In 1995, Mormons and Jews reached an agreement that the LDS church would no longer “re-baptize” or “seal” Holocaust survivors that some LDS members had characterized as their ancestors. 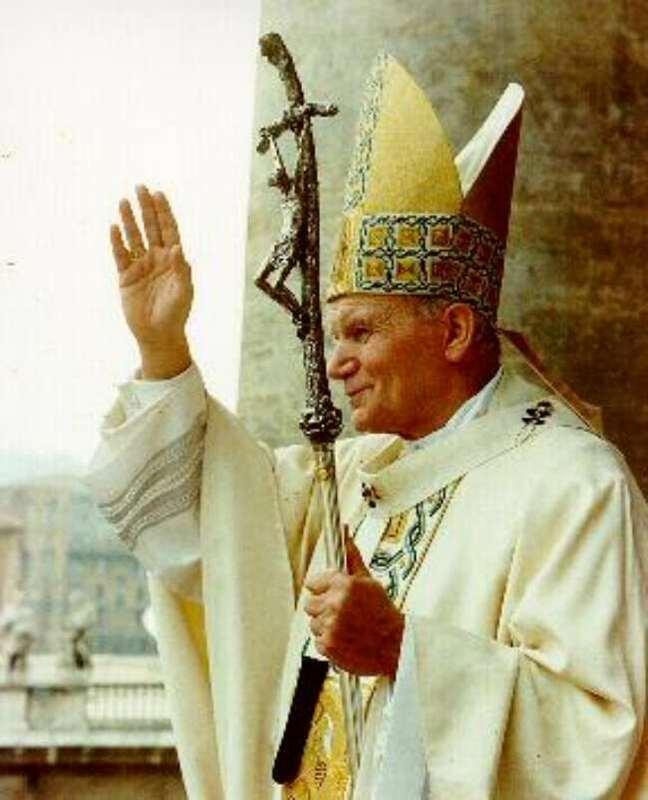 In 2001, Pope John Paul II approved a statement from the Congregation for the Doctrine of the Faith which stated that baptism in the LDS church cannot be held to be a valid Christian baptism. The statement went on to say that because of differences between the Catholic and Mormon understandings of the Trinity, “one cannot even consider this doctrine to be a heresy arising from a false understanding of Christian doctrine.” L’Osservatore Romano, a newspaper which frequently reflects inside thinking at the Vatican said the ruling “changes the past practice of not contesting the validity of [Mormon] baptism.” The head of the Congregation for the Doctrine of the Faith at the time was Cardinal Ratzinger, now Pope Benedict XVI. Nothing much seems to have happened on this issue between 2001 and 2008. But then in January 2008, the Congregation for the Doctrine of the Faith issued a letter which expressed “grave reservations” about the Mormon practice of posthumous baptism. A few months later, Pope Benedict XVI approved an order that each bishop should not “cooperate with the erroneous practices of the Church of Jesus Christ of Latter-day Saints.” Cooperation includes allowing Mormon genealogists to have access to Catholic parish records. Ironically, just 10 days after this order was approved, Pope Benedict embarked on a visit to the United States during which two Mormons participated in a papal ecumenical service. According to the Catholic news service this was the first time any member of the LDS church participated in such a service. Other Catholic and LDS spokespersons further emphasized that the ban on allowing parish records to be given to LDS genealogists was not a major rift between the two denominations. The Catholic vicar general of the Diocese of Salt Lake City said that Catholics and Mormons enjoyed a long-standing mutually beneficial relationship. He said that the order concerning parish records was nothing new, because the Salt Lake diocese long had refused to give parish records to anyone “not authorized to have them.” This policy was much broader than Mormon genealogists. So how should Catholic genealogists react to the church’s official ban on giving Mormon genealogists access to parish records? Here are some things to consider: first of all, the Mormons do have the greatest collection genealogical records in the world. Additionally they have been an incubator for new advanced archival technologies. They allow free access to most of their records and have been known to create digital archives of Catholic parish records for the parish to keep. I recall on my visit to the parish of Prairie du Rocher, Illinois in 2007, that the priest had labored alone and with great difficulty to get the parish records organized in a computer database. And before the completion of the project is computer crashed and the data was lost. Today, the records of St. Joseph parish in Prairie du Rocher are available free of charge as part of the set of records of the diocese of Belleville, Illinois on the LDS-run site FamilySearch.org. Here are some other things to consider: the ban is directed to bishops and clergy, not to individual Catholics. So Catholic genealogists who cooperate with Mormon genealogists will not need the “Get out of Hell Free” cards available from my colleague Sheri Fenley. Despite the ban, FamilySearch.org seems to add new Catholic parish records every week. Curiously most of those seem to come from outside the United States. Perhaps the LDS spokesman quoted above was on the right track. Why should we as Catholics care that the Mormons believe in something that we don’t believe in? It is, as he said, a matter of belief. One objection to the use of records by LDS genealogists has been the complaint that some of the Mormon records are inaccurate. Mormon leaders say that there are inconsistencies and inaccuracies primarily in the IGI. They say that they have taken steps to weed out inaccurate information in the IGI. Finally, the ban on cooperation relates only to the LDS church. No doubt there are many many other faiths with severe doctrinal differences with the Roman Catholic Church, who are not banned from examining parish records. And we’re not going to change their belief system by refusing to cooperate on genealogical records. One of the ironies here is that the Catholic Church once had the biggest collection of genealogical records in the world. They weren’t centralized like the LDS records are. But for many centuries, the only place that genealogical records were kept was in the local church. After the Reformation, Catholic and Protestant churches alike continued to be the main repositories of genealogical records. Civil involvement in matters of birth, marriage and death is a relatively new phenomenon. Because Catholic records aren’t centralized, there was an opportunity for cooperation that could have led to greater accessibility of Catholic records to historians, genealogists and the general public. “The LDS Church has been more than generous in sharing their extremely costly research endeavors with the world at little or no cost. I would hope that my church, had it been in their shoes, would be as magnanimous. In fact, what the Mormons have done is downright Christian. . .
” . . . Catholics and our faith are actually strengthened in a way by knowing and understanding our past and appreciating our ancestors. Curiously, we have the Mormons to thank for that.” See Catholics, Mormons at Odds Over Genealogical Records? at GeneaBlogie. That’s still my thinking on the matter. What do you think? It’s Christmas time again! No, 2012 hasn’t gone by that fast. “Thirteen days after Western Christmas, on January 7th, the Russian Orthodox Church celebrates its Christmas, in accordance with the old Julian calendar. It’s a day of both solemn ritual and joyous celebration.” [Quote Source: Russian Crafts]. I’ve mentioned in a previous post that my grandmother, although baptized Greek Catholic, and raised in that faith, had joined the Russian Orthodox church (St. Nicholas) as an adult. This was long after she arrived in America and settled in Pennsylvania. As a result, we always had two Christmases in my family. Because it was more universal, our family would have a big celebration on December 25th, which included the secular traditions of a Christmas tree and Santa Claus, but also observe the January 7th Christmas with my grandmother. 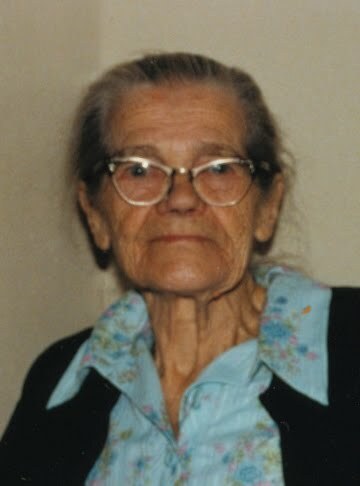 In later years, when my grandmother’s health was failing and she could not attend the services in person, she often listened to them on the radio (there was a church that did a broadcast). We would listen with her. Observing the religious rituals meant we also got to enjoy the wonderful foods of the Vilija (Christmas Eve) supper twice as well. More mushroom soup, more bobalky, more pirohy, more everything….yum! My poor grandmother (and mother too) seemed to be cooking for four weeks straight! But those were very special times! As it happens, January 7th is also my Auntie Sr. M. Camilla’s birthday (see my very first “Catholic Gene” post “My Auntie: Christ’s Career Woman and Our Family Historian”). She would have turned 94 today. Luckily, I have a freezer, and a microwave, so today I will be heating up the remainder of the mushroom soup and pirohy I stashed away after December 24th, and will play my Slovak Christmas carols one more time. And I will remember my grandmother, and my Auntie–two of the most faithful people I have ever known–as I once again celebrate the true meaning of Christmas in my heart. Family Bibles – part family treasure, part genealogical record – are one of every family historian’s most sought after ancestral relics. I was thrilled this year to have a cousin share with me the Douay-Rheims Catholic family Bible in his possession which had belonged to my 3rd great-grandmother, Ann Cowhey. As a genealogist, I was thrilled to see the names and dates recorded on its pages. As a Catholic, it was inspiring to hold the actual Bible owned by my 3rd great-grandmother. I can imagine it sitting in her home throughout the 19th century as she raised her family and relied on her faith to sustain her through hard times. If you share an interest in Catholic family history and you enjoyed reading this article, please take a moment to write a comment including the things that you are thankful for. Happy Thanksgiving! Today The Catholic Gene is happy to add a new author to our gang! Welcome to Mr. Bernie Gracy, who is not only a genealogist who specializes in location-based research techniques, but also has the distinction of being a mischievous altar boy in his younger years. 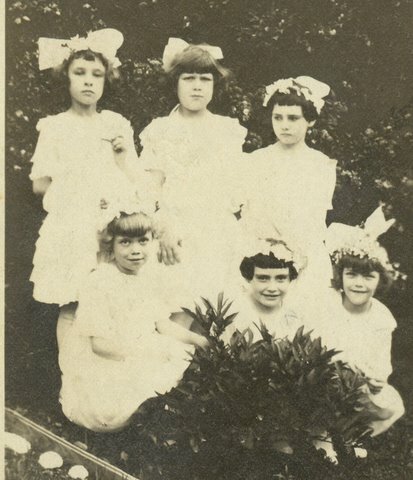 Visit the Authors page for Bernie’s bio and rather unique First Holy Communion photo. Stay tuned next week for not just one article by Bernie, but a 4-part series that you won’t want to miss! How many Catholics are there in the world? Or in the USA? Or your town and state? Think about that for a moment. If one looks to the U.S. Census population figures just released for 2010, the answer is there are no Catholics in the USA. But the census population figures also show no Protestants, Jews, Muslims, or Hindus, Buddhists, or Unitarian Universalists. That’s because the Census Bureau is prohibited by law from asking mandatory questions about religious beliefs. The prohibition has not always existed and at various times throughout U.S. history, federal census takers have asked questions about religious belief. The practice was always controversial, as anyone familiar with either the American Constitution or Americans’ general personal constitutions might well imagine. In other countries, however, governments do collect official statistics on religious belief and church membership. Again, however, in many countries, such inquiries are also highly controversial.Just how do we know that there are 1.188 billion Catholics around the world? This is the “official” figure given by the Vatican’s Central Statistics Office in the Annuario Pontifico 2010 [Pontifical Yearbook 2010]. This figure is derived from government statistics where permitted, private research, and of course, the Church’s own census taking, starting at the parish level. There are “independent” Catholic institutions engaged in demographic research such as Georgetown University’s Center for Applied Research in the Apostolate (CARA) and the United States Conference of Catholic Bishops. Other authoritative sources are The Official Catholic Directory, published by National Register Publishing Co., the Pew Forum on Religion and Public Life, and independent researcher David M. Cheney, who runs the website Catholic-Hierarchy.org. One source of independent research on religious affiliations is, strangely enough, The CIA World Factbook, published by the U.S. Central Intelligence Agency. The 2011 edition of the Factbook covers 165 countries and includes statistics about religious affiliations in each country. The CIA data is consistent with other, nongovernmental research on religious institutions and affiliations.The worldwide Catholic population of 1.182 billion persons constitutes more than 17% of the world’s total population, making Catholicism the largest religious denomination in the world.The total U.S. Catholic population is reportedly between 65,400,000 and 77,800,000 persons. The lower figure is the “official” number; the higher 77.8 million number is based on self-identity survey data. In any event, researchers generally regard Catholics as making up about 24% (+/-1%) of the total U.S. Population and about 30% of all American Christians. The next largest religious group in the U.S. Is the Southern Baptist Convention with about 16.6 million members, about one-third the number of Catholics. The “most” Catholic states in the U.S. are Connecticut, Massachusetts, New Jersey and Rhode Island, each with about 42% Catholic populations. California, Illinois, and Nebraska follow with 31% each. The “least” Catholic state is Arkansas with a mere 5% Catholic population. The CARA paper further states “Estimates of the proportion of Hispanics or Latinos in the United States who identify as Catholic vary considerably, from slightly over half to 90 percent [citing a 2000 Department of Health and Human Services report]. No clear consensus has emerged among scholars, and debate persists among church leaders and activists. How Many Hispanics are Catholic? A Review of Survey Data and Methodology, (P. Perl, J.Z. Greely, and M. M. Gray, Center for Applied Research in the Apostolate, Georgetown University, 2006). 1. In which of the following jurisdictions would one most likely encounter a Catholic? 2. Which of the following countries has a Catholic population larger than the total populations of Los Angeles and Chicago combined? 3. Name four of the five “most” (greatest %) Catholic countries in the world. Put your answers in the comments. Correct answers will be posted Wednesday, October 5, 2011, in the comments. Welcome to The Catholic Gene! Welcome to The Catholic Gene – a blog dedicated to the faith of our fathers and mothers…and their ancestors. This blog will feature articles by a diverse group of authors who share a strong Catholic identity and a love for genealogy. Join us as we share about genealogy, the Catholic faith, and anything in which those two worlds intersect. Expect to find posts about a variety of topics such as saints, saints-to-be or famous Catholics in genealogy records, profiles of churches, Catholic communities, or archives. We will also write our memories and reflections of growing up Catholic. And naturally, we will share vintage photos of churches, priests, nuns, and more! We are very excited to begin this project, and we hope our readers find information that is informative, useful, or just plain fun. Visit the Authors Page to learn more about our writers and About Us to learn more about this blog. 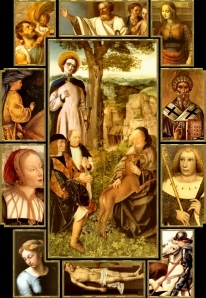 The authors of this project sought to find a patron, and while there is no “official” patron saint of genealogy, there are quite a few saints that we can call upon for help as we research our roots. St. Frances Xavier Cabrini is the patron saint of immigrants, whom many of us have in our family trees. Then there is St. Helena, the patron saint of archaeologists – after “digging up” information in piles of dusty books, sometimes she feels like an appropriate intercessor. 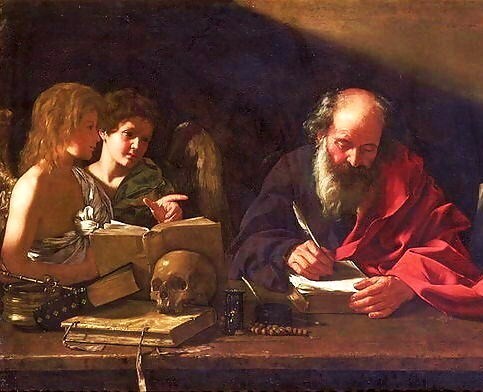 St. Anne and St. Joachim were the grandparents of Jesus, and St. Matthew wrote his earthly genealogy. In desperate moments, we’re likely to call upon St. Anthony to find our lost and missing ancestors or St. Jude for those “hopeless” cases with elusive ancestors. But St. Jerome seems to be the most all-encompassing patron for what genealogists do, for he is the patron of archivists, librarians, and translators. St. Jerome, and all the saints, pray for us!